The next big thing in Cardiac Monitoring is actually pretty small. With better information and results the Telerhythmics TCAT3 makes Mobile Cardiac Telemetry easy. Notice: Please, turn off pop-up blocker from your browser. It can interfere with opening the patient report. 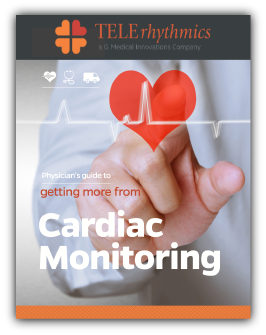 The Physician’s Guide to Getting More from Cardiac Monitoring is a free 22 page e-book that explores the latest advancements in cardiac monitoring and what they mean for your patients. Telerhythmics provides 24-hour monitoring by experienced critical care trained Registered Nurses who maintain expertise in adult and pediatric electrophysiology; in addition, two board-certified cardiologists are on staff at all times. We deliver prompt, accurate information via fax, email, secured website, VPN access, FFTP, etc. 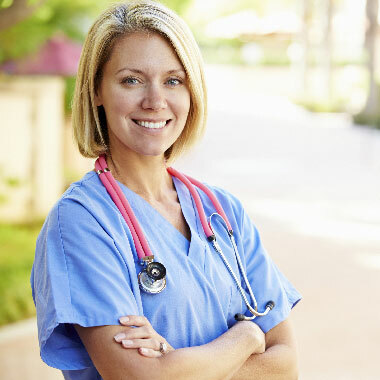 All reports are reviewed by two Registered Nurses for quality assurance. Sample data results are available upon request. Telerhythmics has made every effort to develop an automated, efficient, and flexible enrollment system that minimizes your staff's time involvement. ©Copyright 2018 Telerhythmics, LLC. All rights reserved.